Mitzi Samano Leano will be the first in her family to earn her college degree thanks to her scholarship. Mitzi Samano Leano ’21 will be the first in her family to earn a college degree. The Ernesto and Jamie Perez Scholarship made attending UGA possible. She aspires to be a dietitian and help young mothers-to-be who do not have access to adequate nutritional advice. Earning her degree from UGA will help Mitzi reach her ultimate goal of starting her own clinical practice. Mitzi Samano Leano ’21 is the first Georgia Bulldog in her family and the first to pursue a college degree. The University of Georgia was the school of Mitzi’s and her family’s dreams. A Georgia Commitment Scholarship made this dream a reality. Before this news, Mitzi and her family considered universities closer to home to save on room and board expenses. Unlike UGA, many of the options Mitzi looked at did not have graduate degree programs in her intended field: dietetics. This is another reason she is grateful that the Perezes’ scholarship helped her get to Athens. Mitzi developed a passion for nutrition the summer before her first year at UGA. Now, she is pursuing a degree in dietetics from the College of Family and Consumer Sciences. She is interested in a career helping pregnant women with “their nutritional journeys.” She especially would like to assist young mothers-to-be who don’t have access to trustworthy nutritional advice. Mitzi is an advocate for veganism and has found a like-minded community at UGA through the student organization Speak Up for Species. She enjoys volunteering with friends who share her belief that “the biggest and best way to help animals is to change what you eat.” So far, Mitzi’s most memorable college experience was a trip with the group to Sweet Olive Farm Animal Rescue. The Atlanta native found herself far from home – feeding pigs and brushing cows to keep mosquitos away. “I had a lot of fun that day and met a lot of new people,” Mitzi said. Mitzi also joined the Hispanic Student Association’s first-year committee and is helping plan their spring gala. Additionally, she is a member of Trio, a federal program that offers resources – like quiet study spots and free tutoring – to first-generation college students. Through her campus involvement, Mitzi found a “tight-knit group of people,” who have helped her transition to college life. 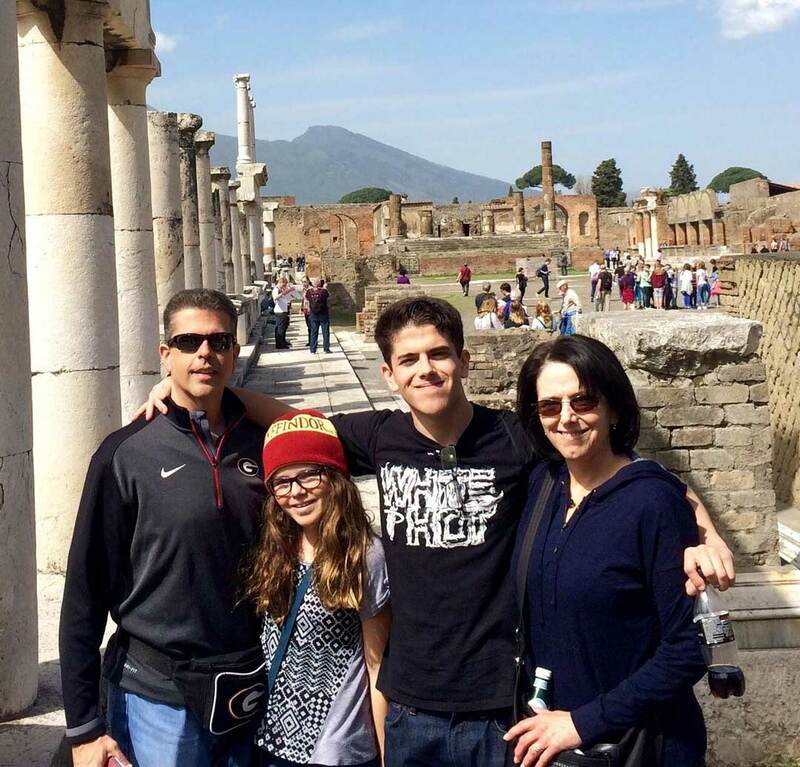 Ernie Perez (BBA ’89) established his family’s scholarship as part of the Georgia Commitment Scholarship Program. Through this program, the UGA Foundation matches gifts of $50,000, $75,000, or $100,000 to endow an undergraduate need-based scholarship. Perez wanted to help remove the financial barriers that many students face, while also honoring the UGA education that led to his professional success. As Mitzi continues her UGA journey, she plans to seek mentors who can help her achieve her ultimate ambition to start her own clinical dietetics practice. As a Georgia Commitment Scholarship recipient, she will benefit from programming that helps students build a professional network. From success panels with graduating seniors to luncheons with alumni from top corporate employers, the Georgia Commitment Scholarship program enhances the financial support provided to recipients with academic and career coaching. Mitzi also plans to pursue a graduate degree to boost her credentials and bring her one step closer to her goal.